This Torah portion packs a message for changing one's life. In the second half of this week’s double Torah portion, we encounter a disease that may be called “Biblical leprosy.” The stricken person’s skin turns white, is pocked with certain skin lesions and granuloma-like deformities, and is perceived to be so contagious that the stricken must be exiled from the camp. This disease differs from the kind of bacterial illness that defines post-Biblical leprosy. Instead, our Rabbis see the gruesome malady as unique to Torah times and a Torah society, caused not by bacterial infection but by the spiritual evil of lashon hara, evil speech. Lashon hara is a terrible evil. Forbidden speech in this category extends beyond outright lying and slandering. Even if the speech is true, even if mere gossip or just joking, it is forbidden. Although lying and deliberate character assassination are far worse than small-time gossip, Judaism sees even that “minor,” everyday social wrong — everyday gossip — as an evil of the most serious consequence, punishable by Heaven. Gossip and idle talk kill people. The lies and the half-truths wreck families, prevent job advancements, destroy careers, lead to demotions and terminations, break up potentially wonderful male-female relationships that would lead to successful and happy marriages, and ruin lives. Our secular society tries to protect victims of the social wrong by enforcing laws against written defamation (libel) and oral (slander) and against depicting innocents in a derogatory false light. Nevertheless, our secular society also has built “safe harbors” for character assassination that our Torah would forbid. For example, in secular society, in most cases “truth is a complete defense to a charge of defamation.” If it is true, then secular society typically permits character assassination. In California, back in 1971 the state Supreme Court held a publication potentially liable for libel when it published a defamatory-though-true account about a man who had hijacked a truck eleven years earlier. The Court held that an actionable invasion of privacy could occur through the reckless, offensive, injurious publication of true, but not newsworthy, information concerning the criminal past of a rehabilitated convict However, in 2004, citing a new series of United States Supreme Court decisions, the California Supreme Court overruled its prior holding. Today, if the media bring to life a long-forgotten crime from decades past, drawing from old dusty court records, they may re-hash the story in prime time, destroying the life of a rehabilitated person. Evil talk surrounds us close to home, and we do well to contemplate whether we inadvertently support it by our television viewing habits. Certain programs not only are marked by gossip and evil talk, but they thrive on such evil for higher audience ratings that generate more advertising dollars. Are we part of that audience? Do we help bolster the viewership of other nightly talk shows and paparazzi-type programs that exist to elicit embarrassing comments by celebrities? Are our minds sufficiently elevated that we should focus our concerns elsewhere? When we shop at the supermarket, the creeping cash-register line affords us time to see the tabloid headlines. Notably, the store managers do not place “Popular Mechanic” or “Commentary” at the check-out line. They prefer publications whose reports are less cerebral and more proximate to the junk heap. Celebrities accusing each other of nasty things that do not pertain to us or our world. Their eating problems, their pregnancies, their broken relationships, their cosmetic surgeries. Do these matters concern us? We live in a world of gossip because gossip sells. Gossip can be monetized more easily than can Torah or simple common decency. As we turn to the internet, it is all the same — and worse. Hiding behind anonymity, people post “comments” that are horrible, scurrilous, and destructive. Comments regarding a simple lovely song on Youtube begin with the first few decent remarks about the music and the artist but soon degenerate into scrolling-down hate-filled viciousness. Comments on blogs are worse, ever anonymous. In the worst of situations, such anonymous digital hate, known within social media as “cyber-bullying” — it is so common that it even has a name! — has led psychologically tortured youths to kill themselves. Lashon hara actually kills. This week’s double Torah portion may lack the story-telling excitement found in portions of B’reishit and Sh’mot, but its message is among the most powerful. Lashon hara, evil talk, is a despicable practice, a blight, and those who engage in it may find that they have brought upon themselves unspeakably horrible punishment. 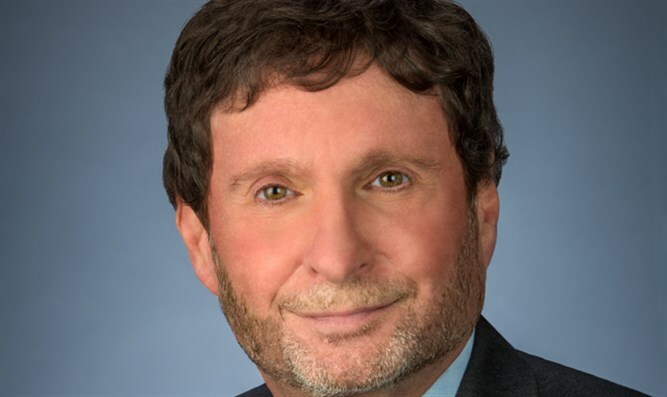 Rabbi Dov Fischer, adjunct professor of law at Loyola Law School and at UCI School of Law and a member of the national executive committee of the Rabbinical Council of America, is a columnist for several online magazines and is rabbi of Young Israel of Orange County. His writings appear at rabbidov.com.